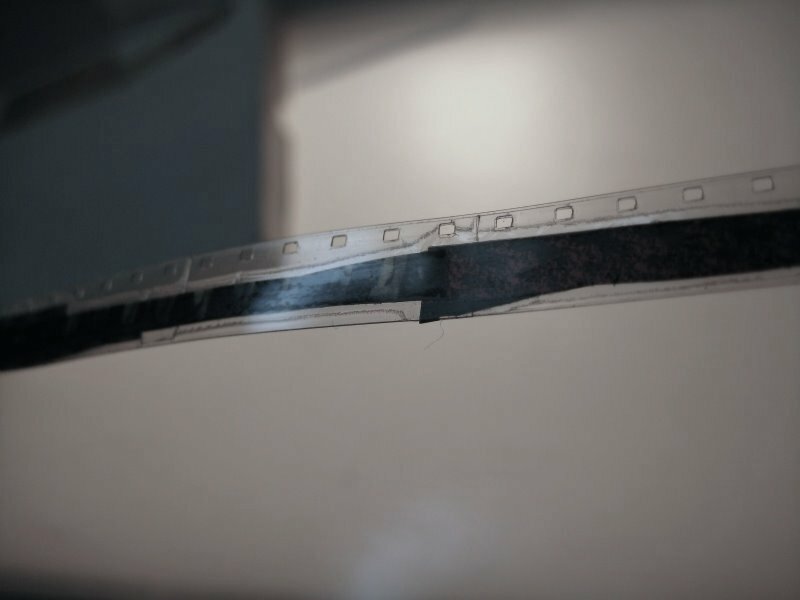 Lewis Klahr originally assembled his 1987 film Her Fragrant Emulsion in Super 8 by taking lots of chopped up strips of film and collaging them together with splicing tape. 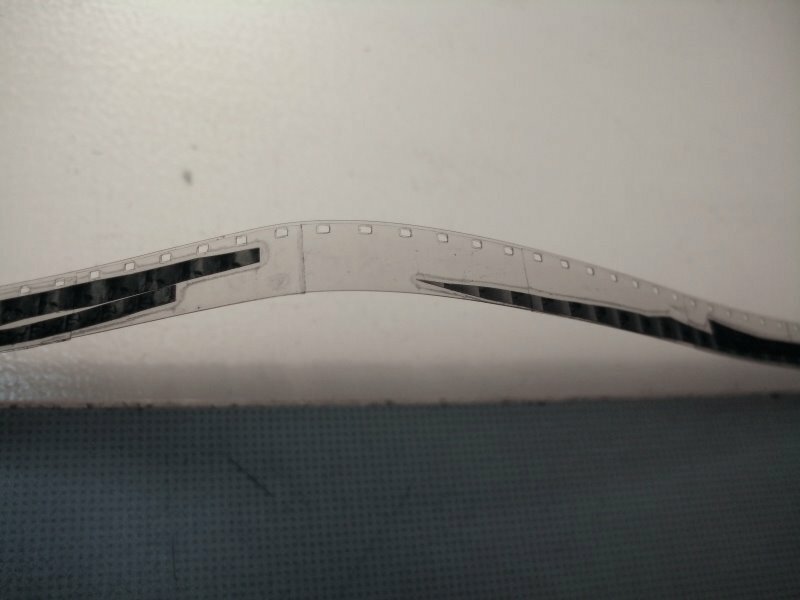 This roll (about 30 or 40 feet in length) was then copied to Super 8 Ektachrome. 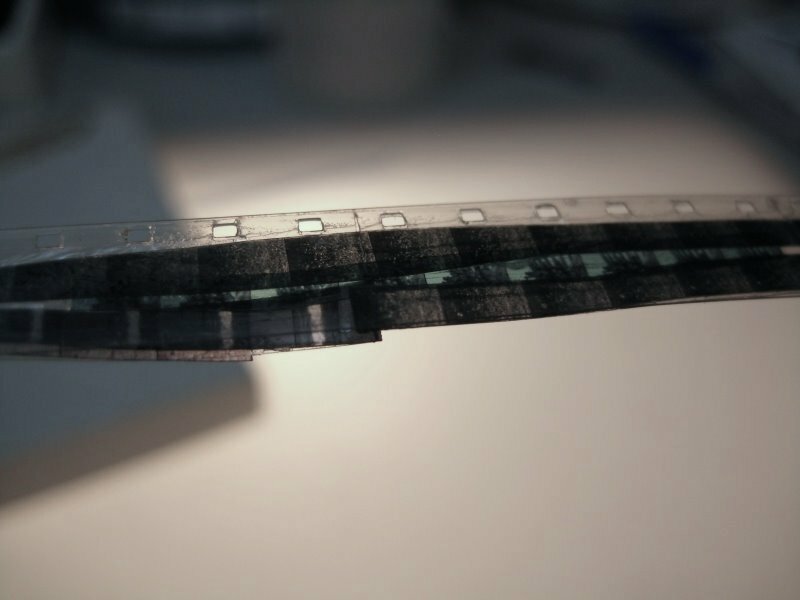 Lew then constructed his edit for the film from this Ektachrome material. 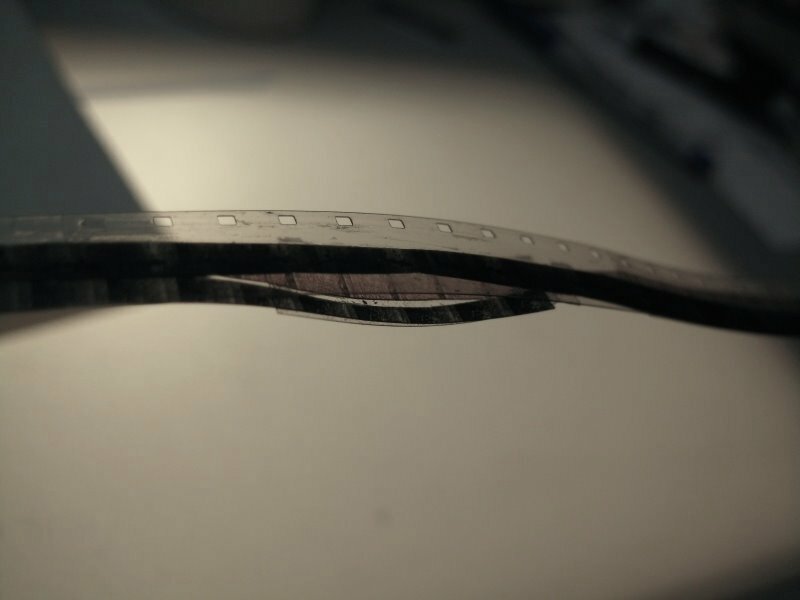 Lew made quite a few Super 8 films, and had some of them blown up to 16mm, but felt they didn’t translate well to the larger medium. 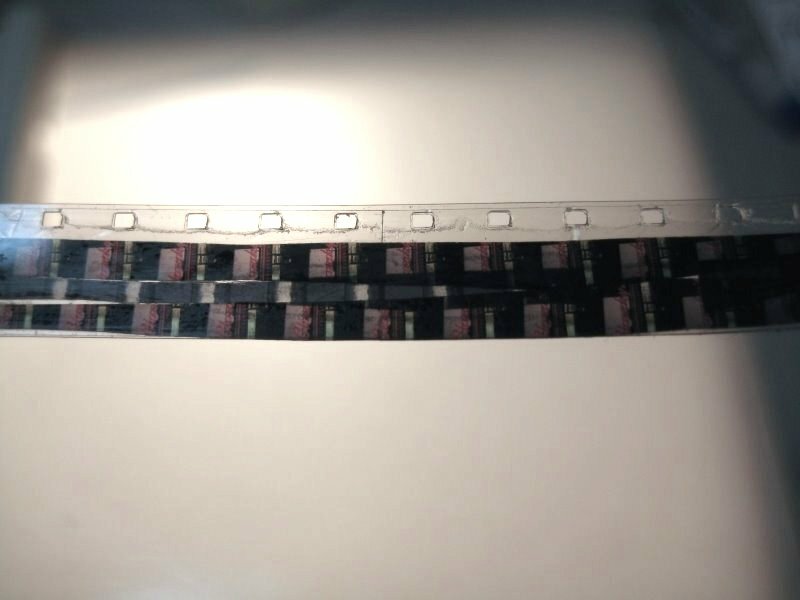 He told me that Her Fragrant Emulsion is pretty much the only one that he thought benefited from the blowup, and this is the primary form in which the film has been shown. wow! thanks for sharing, mark. did he really compile all those tiny tiny images onto super 8 clear leader? or is that 16? so intricate! It’s Super 8! 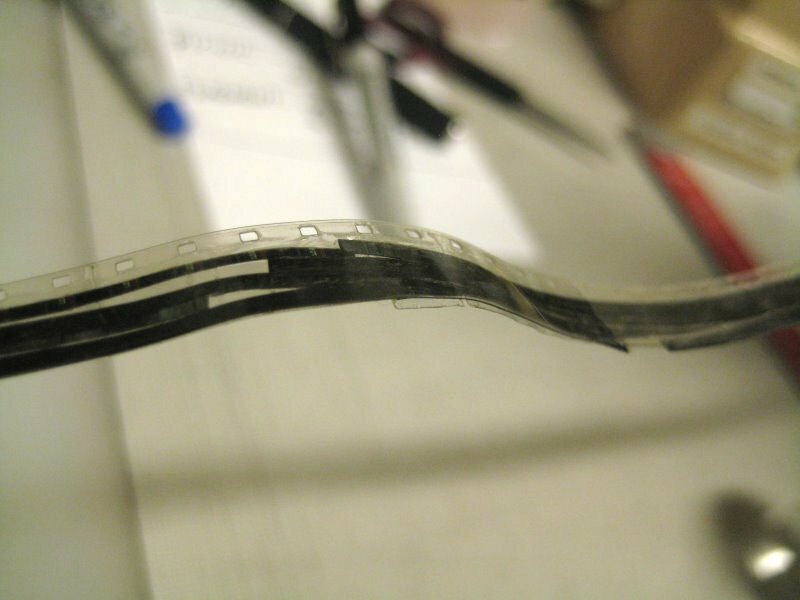 The tape is loose on some sections, so the little bits of film have moved around a little over the years. If it were to be reprinted today, you’d maybe have to call it a remix or something.